Qui Hoang is evangelizing technologies for positive changes, economic growth, and a safer world. He is 25% Executive, 25% Entrepreneur, 25% Engineer, 25% Thinker, and 100% Doer, who from extraordinary challenged beginnings, has actually changed the world a tiny bit. With Kiernan Group Holdings, Inc., he chairs the Emerging Technology Innovation Center (ETIC) and evaluates its ever-changing portfolio. 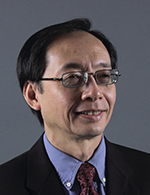 Qui is a retired executive from a US Fortune 50 company after 25 years of active service. His last assignment was a Business & Market Development Director for Asian markets where he was responsible for expanding US interest there. During his tenure, he successfully designed, tested, launched and marketed cutting edge products to global markets. Qui is notable for his deep organizational and cultural knowledge and customer engagement. Qui is a current Vice President with a Wall Street backed Technology Company as their Head of the Advanced Solutions Group. His group is creating Advanced Prototypes from Defense and Commercial Technologies by fusing Blockchain, Cloud, Digital Identity, and Facial Recognition. His innate ability to see what others do not in the technology space is contributing to the fielding of advanced technologies. As an entrepreneur, he was a founder and President of a successful startup in Cloud, Cryptocurrencies, Blockchain, Machine Learning, AI, and Facial Recognition. He created a crypto-payment system that transfers money instantaneously based on an Universal ID system. He proposed a way to use Blockchain to eliminate fake news, and allow the public to bet on future events. He has provided SME to the US Navy, TSA, DHS and the NFL. As an engineer, he has designed many notable products. Qui is one of the rare few who understand and have done real work from the low-level CPUs to the high-level AI in the Cloud and everything in between. He had the privilege of working on the x86 and ARM processors that still power all the Cloud, servers, laptops, iPhone, and Android devices today. In addition to his technical expertise, Qui also understands the ramification of these technologies if used incorrectly which has impacts on privacy, National Security, social interaction, and the stability of our financial systems. As a thinker, he is an accurate Asia expert in Washington DC who understands the dynamic and complex issues related to Asia-Pacific business, security, and geopolitics. As an Asian Affair expert, he understands the culture, context and impact of the confluence of political, commercial, academic, and technological events in that important region as they impact other global markets.